Okay, so we went to the village of Rimpar for a beerfest. Sans kids. That doesn't mean I can't recommend it as a family destination, does it? Hubby and I in Rimpar, Germany. German children would not, however, find this photo unusual. 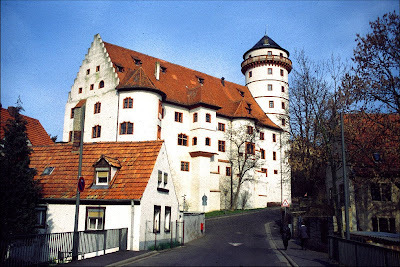 Amongst all the festing, we did take the time to take a short look-around at Rimpar in the district of Würzburg. 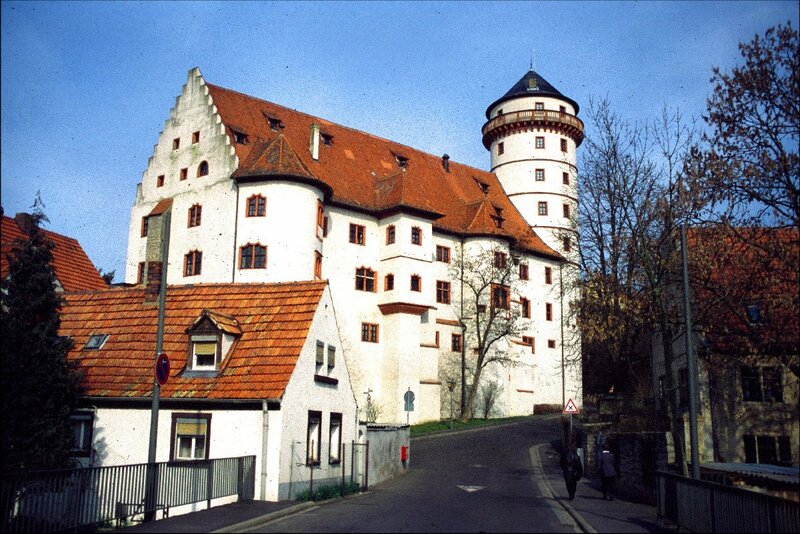 The most notable sight is Grumbach Castle, built in 1347, with its small historical museum and lunch tables on the grounds perfect for an afternoon picnic. 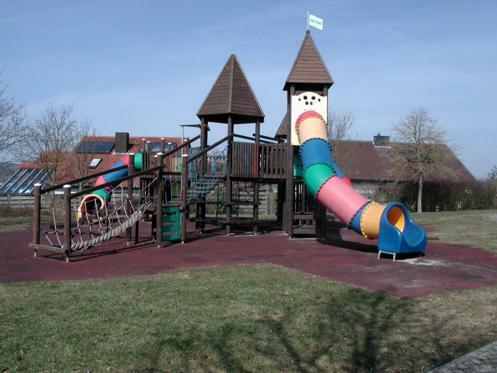 Rimpar also has several clean and modern children's playgrounds and might be the perfect rest stop for a family traveling the Autobahn 7 through Franconia. Alcohol and a playground? Sounds like the perfect family destination to me.